Since I'm on this tangent about acquired tastes ie. weird food combinations, it seemed only fitting to post my recipe for chanh muoi (Vietnamese salty lemonade). It's on the menu at most Vietnamese restaurants so if I've now stirred your curiosity, you can order it the next time you go. You can also find jars of this at the Asian grocery store. Since I'm blessed with an uncle who has a Meyer lemon tree, you know I had to make my own! Lemons, however many will fit in the jar. Scrub the lemon rinds clean. These jars are pretty small so you'll probably need to halve or quarter the lemons for them to fit. Pour 2 cups water into a sauce pan. Add 1/4 cup salt and turn the heat to high. Stir to dissolve the salt. When the salty water boils, pour into the jars and close the lid tightly. Flip the jars upside down and the lid should "pop," thereby sealing the jar. Leave at room temperature or in a sunny place so the lemons will be pickled. This step is optional, but my mother believes that it helps eliminate the rind aftertaste. After a day or two, open the jar and drain the water. Again, do the salty water, boiling, sealing thing. After about a month, these lemons should be properly salty enough for the Vietnamese salty lemonade or any other recipes. Since the lemons are now pickled, you can store them pretty much indefinitely. This lemonade should be a combination of salty, sour, and sweet flavors. As always, adjust according to your tastes. Seriously? It's lemonade folks! Mash up the lemon (including the rind) in a glass until all the juices run out. I just do this with a spoon. Add water and a spoonful of sugar at a time until you get the flavors you want. If you want it carbonated, add seltzer water or club soda in place of the water. You can open a lemonade stand and serve pickled lemons as well! I love salty lemonade!!!! I love salted plum drink too. Well, that's interesting! I've never had salty lemonade, but I would probably like it. I like to put salt in my grapefruit juice. I didn't realize it was so easy to preserve lemons. 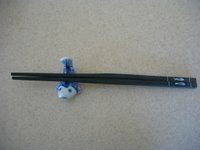 You are a wealth of information, Chopsticks! Such a pretty color huh? I didn't think of salting my grapefruit juice. You can use the preserved lemons to make a Moroccan chicken dish with preserved lemons and olives. I'm gonna try that soon. I always grew up with salty lemonades, except they were always salty limeades. Kinda like an extra strong gatorade or a virgin margarita. I've never made the brined lemons before, but I'm planning to. 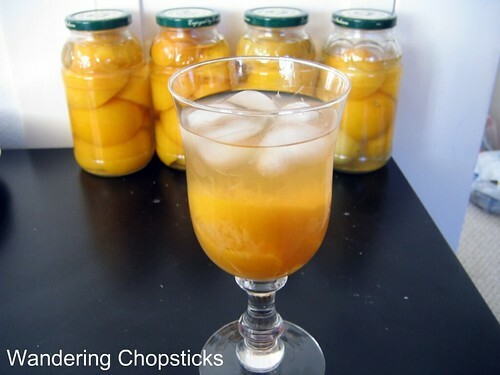 I wish I had read your post before I did mine on preserved meyer lemons. I'll have to edit it to include yours - it's great to know you can adapt a calif. lemon to make a vietnamese drink. I love the use of the spaghetti jars too! OMG! This is so funny! I've been subscribed to your blog for awhile now and this recipe was actually featured Craft Zine, which I'm also subscribed to. It's like seven degrees of separation! This recipe sounds so yummy! I'll have to try it! Sounds like a great alternative to iced tea. Thanks! I had no idea Craftzine even existed. Checked out the link and it's a great site. Small world indeed. Thank you so much for this recipe!1 It was a childhood favorite of mine and I am so glad that I can make it myself now! As a half Vietnamese half Caucasian child I did not see the importance of learning all of my Mother's yummy recipes (assuming that she would always make them for me!) and now i am totally regretting that as an adult!Thank you for this amazing website of yours that has brought me back to my asian roots! I love,love,love your website and will be visiting it frequently! My jar didn't make a popping sound. I hope that isn't bad. These won't turn brown? The chanh muoi my ba ngoai made when I was little always turned brown. I'm turning into a lil Vietnamese grandma myself, cooking up everything on your site (so I don't have to ask my mom, haha). Thank you! Mine are same as Thao's, they turn somewhat dark brown, and the juice has become a tad jelly-ish. I hope it won't go bad. Does that mean I had too much salt? I love the beautiful yellow color on yours. 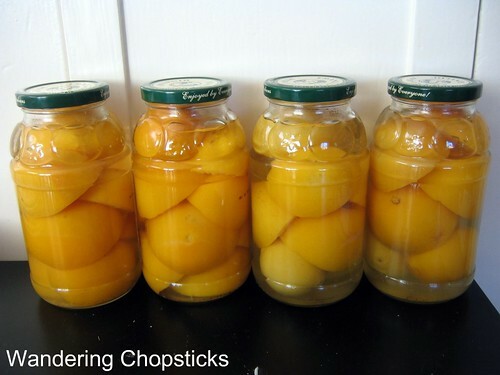 I preserved my lemons for about two months using the process you provided. Today I made your salty lemonade recipe and it just doesn't taste the same as the salty lemonade I get at the restaurant. I've noticed that the restaurant version's lemon rind is darker and harder. Any ideas for improving my version of salty lemonade? Darker and harder rinds sounds like a salted limeade? Some people like to leave their jars of salted lemons in the sun to become more pickled. The taste will be deeper. Try that and taste it after a week or every week for the next month. Or you can salt limes and see if that's the taste you're thinking of. Leave the limes out in the sun so they pickle faster too. Hope that helps. Lemme know, yeah? We use calamondin(calamansi) instead of regular lemon and a lemon-lime soda instead of sugar and soda water ( no need to wait until the sugar dissolves). 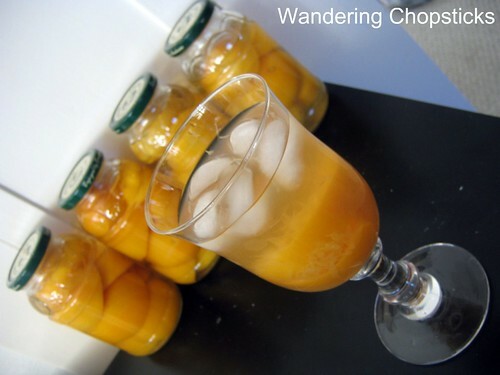 Calamondin is difficult to find so I appreciate the recipe using meyer. I bet you could probably salt pickle kumquats too. I'm lucky that mother lives on Guam and grows calamondin. I have a steady supply and don't have to go far (or pay the price) to get a great glass of lemonade. 1) To make a rich, syrupy brine I use 2 parts salt to 1 part sugar in my brine. 2) DON'T drain the brine after a few days - you're losing tons of the precious lemon juice that is leaking into the brine. Instead, remove the bitter taste in the beginning by blanching in boiling water for 10 seconds before transferring to an ice bath. 3) The way it is nomally mixed is with sugar, mashed brined lemon, a few teaspoons of the brine and FRESH lime juice. Then top off with soda or water. After drinking it with soda, it's hard to go back to a non-carbonated recipe. It's so refreshing with the fizz. Thanks for posting. This is my favorite non-alcoholic drink. In fact, just had one an hour ago! Unfortunately it is the only drink that makes you even thirstier after you drink it! Oh one more thing: Your best bet to keep the lemons a beautiful bright yellow is to use pickling salt. If you can't get your hands on it, use high quality kosher salt like Diamond Crystal. Also, I've found jars with polymer insulated lids or latch down jars with a rubber gasket to work best. They create a nice seal and since there's no exposed metal you won't get rust. Since you could be leaving these out for a year or longer, rust can become a problem even with mason jars. I don't know why it never occurred to me to pickle calamansi, but I will now! Great tips! This was one of my early recipes, and I always felt like I needed to work on it a bit more. I still have one jar left and it's still good!